1993: Oh What a [Forgotten] Year! One would wish that it were not just political events we toasted to as a nation. Ruling party anniversaries, days marking dodgy national heroes and our Independence Day anniversary that still shows little by way of national self-actualisation, are all marked with timely precision. Yet certain commemorations would probably make better sense than those yellow-tinged televised political yawns. Take 1993, a year most will remember more for World Bank Structural Adjustment Programmes (that bitter pill so-called third world nations were forced to swallow en masse) and maybe the failed Musevenomics which marked the genesis of what now passes for the “Fundamental Fraud” (whatever happened to the fundamental change that was promised at that Parliament terrace speech back in January 1986). This entry was posted in Uncategorized on December 31, 2013 by kampala1ne. 2013 may turn out to be local film’s annus horribilis if seen through the prism of film festivals. 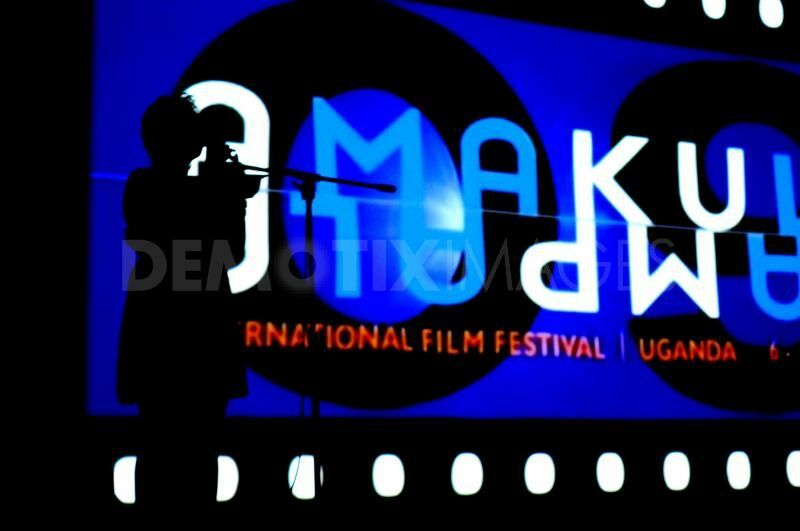 The industry’s premier cinema showcase, the annual Amakula Kampala International Film Festival made an inevitable transition into oblivion. Apparently, its mzungu directors (and founders) ran the festival aground following hesitation to hand it over to locals as demanded by donors. Before its “demise”, Amakula had had a consistent nine-year run. This year’s 10th edition would have been a major milestone for the festival that had become synonymous with showcasing independent cinema – the alternative kind the commercial cinemas tend to shun. The initial plan was to hand Amakula over to an indigenous team after the fifth edition in line with the festival’s development plan. However, drunk with “founders syndrome”, the festival’s creators – a hippie mzungu couple that found a vacuum and used their Western Europe donor partners to create a film festival – opted to literally “kill” the festival. Now in limbo, attempts to revive Amakula have taken the form of a “sabbatical” to assess its impact on local cinema over the course of its nine editions. One gripe film practitioners had about Amakula was that it rarely opened and closed with an indigenous movie as is the norm with international festivals of note elsewhere. This is often seen as the biggest endorsement to the cinematic spaces in which most festivals operate. This entry was posted in Film and tagged Amakula Kampala International Film Festival, Bible, Call Me Kuchu, David Kato, donors, Film festivals, founder's syndrome, gay activist, independent cinema, Maisha African Film Festival, Maisha Film Lab, Man on Ground, Manya Human Rights International Festival, Mira Nair, Nairobi Half Life, NDIFF, Nile Diaspora International Film Festival, Pearl International Film Festival, PIFF, Rosie Motene, UCC, Uganda Film Festival on December 31, 2013 by kampala1ne. There’s something of an oddity about the periodic music showcase Blankets and Wine whose fifth instalment took place at Kampala’s Uganda Museum last Sunday December 8th. For a city better known for its signature humidity, the thought of carrying a blanket to a daytime entertainment event comes off as an aberration even when the intention is to sit on it. And just how many of our pretentious upper-crust revellers can tell a Chardonnay from a Sauvignon Blanc? Perhaps something along the lines of bikinis, briefs and beer would make better sense for Kampala. Fact is your Kampalan’s palate understands froth better, right down to the alcoholic content percentage precision. This entry was posted in Uncategorized on December 10, 2013 by kampala1ne. News of Mac Elvis passing hit me hard. “Church Boy”, like he was known amongst his peers, drowned in a Dar-es-Salaam swimming pool on Saturday October 19th, 2013. I can’t say we were that close. He was a musician I met occasionally at gospel-themed concerts, one that always made it a point to come over and introduce himself to someone many see as the industry’s harshest critic. And every time we met, I could see the yearning in his eyes, eager to have me give his career my stamp of approval by way of a “Moses Serugo” byline. Yet having left mainstream media, I felt that would not amount to much now that I was running an obscure website, the bulk of my work time being gobbled up by arts event promotion. Our last rendezvous was at the 2012 Olive Awards Nominees Night at some backwater venue somewhere near Bat Valley. He looked emaciated but explained it away as a result of a mostly fluid-based diet. He was recuperating from an iron-bar-hit-men attach that had left him with a broken jaw and a mostly yoghurt diet. Amazing how most times we see the victims as unlucky statistics in the rising wave of urban crime. That was probably the incident that gave Elvis a renewed lease on life, one that had him to lay claim to 2013 as his year christening himself “Mr. 2013”. It was this year that he also rode on the crest of his runaway hit Topowa Game, the title track to his album. The saddening thing was meeting his death the way he did, in a foreign land, away from family. The conspiracy theorist in me thought there could have been something sinister about his death to merit a CSI-style investigation. But then again it may have been his time as Christian folk are wont to explain away such untimely demises. After all he was on a mission to win souls and had left quite a mark according to those that were on the trip with him. My own guilt tripping has had me beating myself up for not acknowledging this young man’s talent in his living years. Good thing he left us with parting shot in Topowa Game, an ode to never giving up no matter the circumstances. If 2013 has been annus horribilis maybe because the number “13” is associated with bad luck, let Topowa Game be the nugget those of us that still have breath can live by. 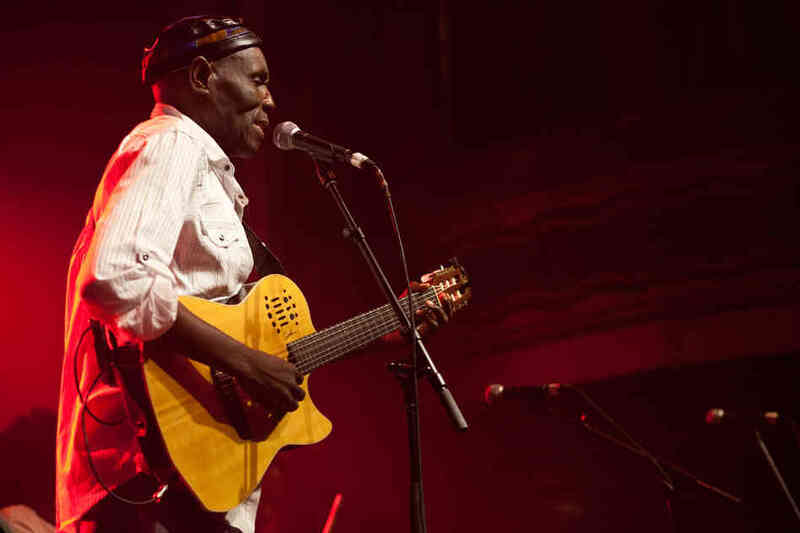 A concert to celebrate his life will be held Sunday December 1st at UCF Makerere starting 3pm. Entrance is UGX5K. 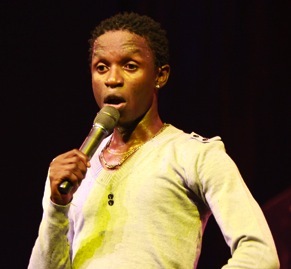 For those that want something to remember Mark Elvis Mutalya by, Topowa Game albums will be on sale. This entry was posted in Uncategorized on December 1, 2013 by kampala1ne.